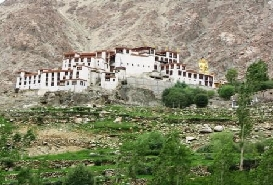 Approximately 18 km away from Leh town, Thiksey Monastery is one of the important and largest monasteries in the central Ladakh. 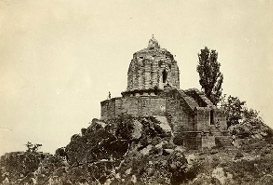 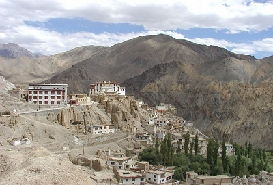 The monastery is settled on the hill top and is home to around 120 monks. 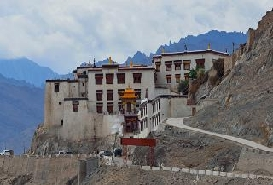 With its amazing and iconic architecture, Thiksey is a twelve storied monastery and boasts of 10 shrines and an assembly hall. 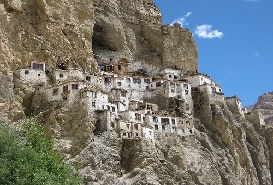 The monastery buildings are put up in hierarchal order and offer a striking view from both up and down. 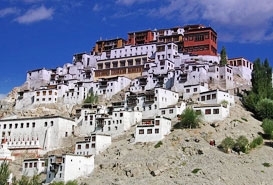 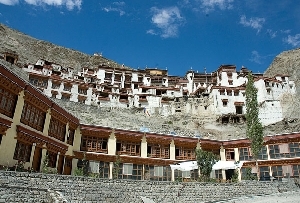 Thiksey monastery in Leh holds Gelugpa order (yellow hat sect) and is referred as ‘Mini Potala’ of India; as it resembles like Potala Palace (World Heritage Site) in Lhasa (Tibet). 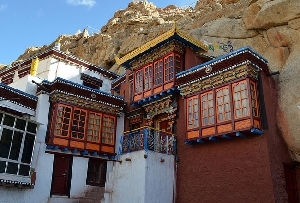 The Tibetan monastery houses many stuffs of Buddhist art such as stupas, statues, swords, thangkas (a painting on cotton or silk, depicting Buddhist deity) and wall paintings. 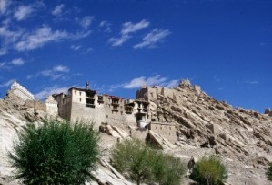 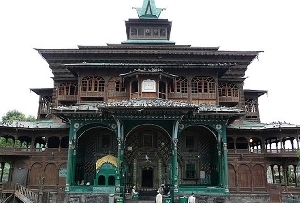 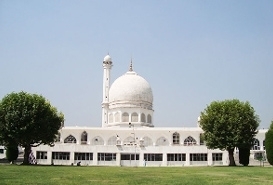 In-addition, there is also a nunnery in the monastery complex. 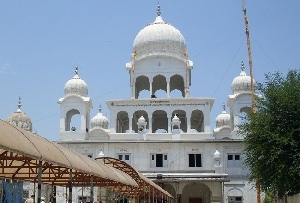 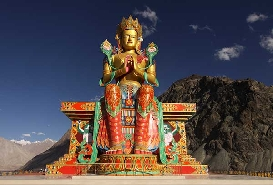 The monastery features one big statue of Maitreya and Tara temple of Goddess Tara. 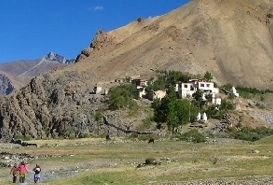 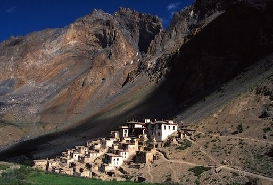 Further, placed on the hill top, the monastery presents an amazing view of Indus valley and other monasteries like Stok, Shey and Matho. 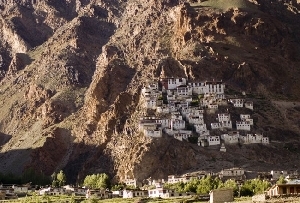 Gustor festival is the famous festival celebrated with great excitement and interests in Thiksey monastery in Leh. 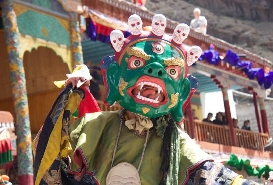 Locals enjoy the event with sacred mask dance and music. 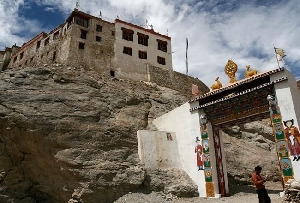 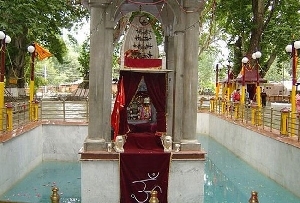 You can also visit Lakhang Nyerma, a beautiful shrine settled within the monastery.